To open existing tournament it is possible "Open..." or having chosen competition from the list of last opening competitions. For opening of existing tournament it is necessary to cause a command "Open..." from the main menu of the program or from the panel of tools. 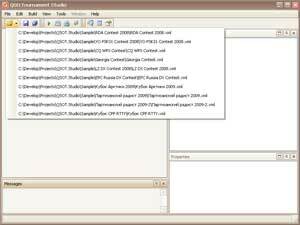 To choose in dialogue a folder with competition, to open it, to allocate a competition file (a file with a name of competition and extension ".xml") and to press the dialogue button "Open". The program remembers last opening competitions in the recent tournament list. The list is formed automatically. The competitions, opening the last, are located on list top. For fast opening of tournament from the list open the list and click on the necessary competition. Probably manual removal of out-of-date records from the list of a fast choice of competitions. Take advantage of a command "View" - "Clear recent tournaments...". 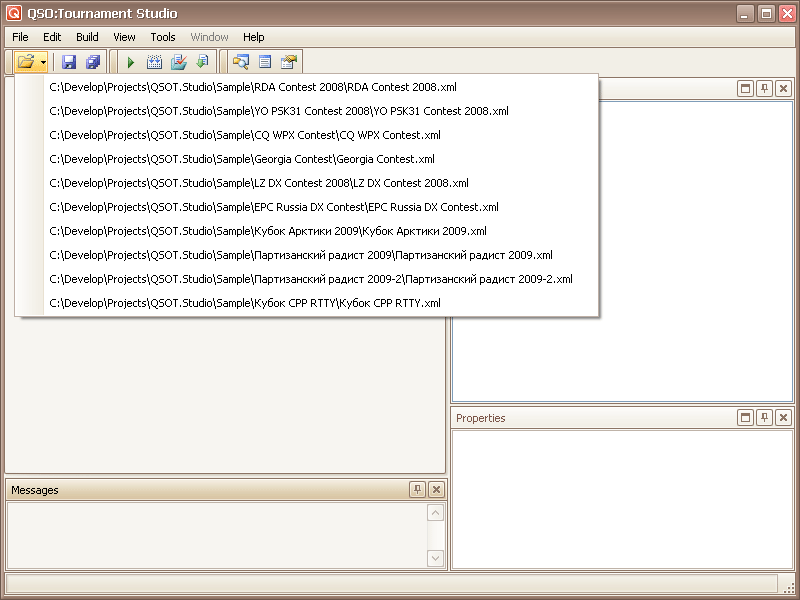 In the appeared dialogue check (select) competitions of the reference on which it is necessary to remove from the list and remove marks from what should be left. Click button "Clear" for operation performance.